CEO and President, Bridgestone Americas, Inc.
Gordon Knapp assumed his role as Chief Executive Officer and President of Bridgestone Americas, Inc. in September 2016. In addition, he serves as Vice President and Senior Officer of Bridgestone Corporation, and is a member of the Board of Bridgestone Americas, Inc. As CEO, Mr. Knapp will focus on accelerating BSAM’s growth and helping to achieve the vision of becoming a truly global company, and will be responsible for the tire business units, marketing, the chief administrative office, human resources, legal, quality and product development at the Americas Technical Center. corporate goals. Under Mr. Knapp’s leadership, Bridgestone Americas, Inc. has strengthened its focus on delivering value to consumers through innovation and achieving operational excellence. Mr. Knapp brings invaluable experience, including a strong global mindset built by living and working internationally throughout his career. 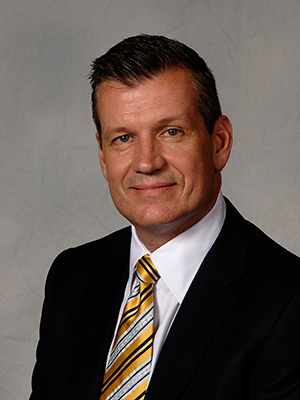 Mr. Knapp joined the company in 2013 as President, Consumer Tire, Bridgestone Americas Tire Operations North America. He previously served as President of the Kimberly-Clark Corporation, Family Care North Atlantic, Consumer Tissue Division, as well as President and Vice President of North America Consumer Brands at Pfizer, Inc., where he gained experience in leading operations for iconic brands such as Kleenex, Viva, Listerine and Schick. Outside of his work with Bridgestone, Mr. Knapp serves on the board of directors for the United Way of Metropolitan Nashville. He received a Bachelor of Business Administration degree from Trent University and a Master of Business Administration degree from the University of Western Ontario. He lives in Brentwood, Tenn., with his wife and their two sons.